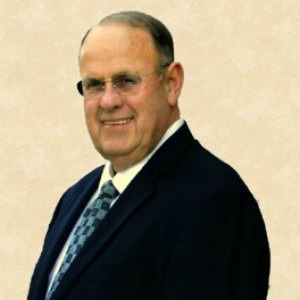 Helping With All Your Real Estate Needs - Broker/owner, Charles B. McKissick, a McKinney native, has been in the Real Estate business in McKinney since 1980. During that time, he has been involved in several development projects that have contributed to McKinney and Collin County being among the fastest growing areas of the country. In addition, he has served on Property Tax Review boards for the McKinney Independent School District and the City of McKinney, the Appeals Review Board for the Collin County Appraisal District, the Planning & Zoning Committee Board for the City of McKinney, served three terms as Councilman-at-Large on the McKinney City Council, and served as a court-appointed Special Commissioner for Judgement of Condemnation hearings, he is a past President and current Director for North Texas Municipal Water District (McKinney Representative) and serves on the Heritage Land Bank Advisory Board. He is a registered Property Tax Consultant in the State of Texas, holds a Real Estate Broker's license in the State of Texas and Oklahoma and is a Registered Easement and Right-of-Way Agent in the State of Texas. Charles is a member of the North Texas Commercial Association of Realtors, Collin County Association of Realtors, he is a candidate/member for Certified Commercial Investment Member (CCIM). Please give Charles a call today to discuss how RES can help with any of your real estate needs...... all under one roof.